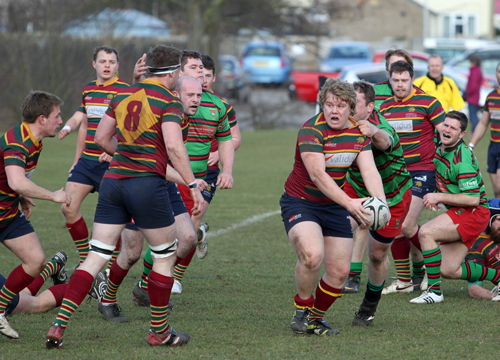 Anglian Home Improvements have been the sponsors of Norwich Rugby Club for the last two seasons, but their hopes of promotion have been slipping after their defeat to Woodham Ferrers. 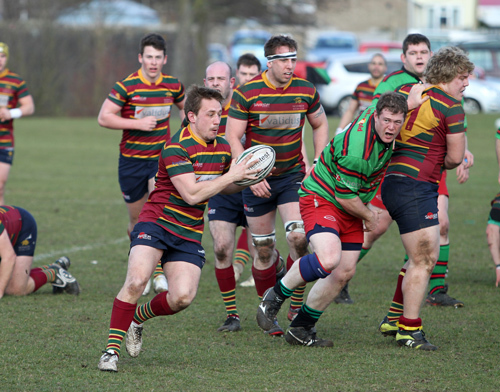 However, Norwich still had a chance to win some silverware in this RFU Vase semi-final match. 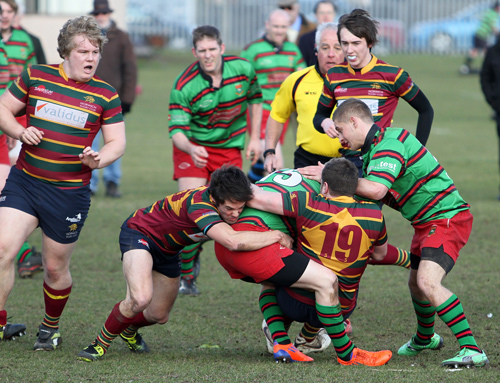 The RFU Vase regional semi-final was a close match, with the lead changing hand five times, and the hosts only gained the upper hand in the last quarter. 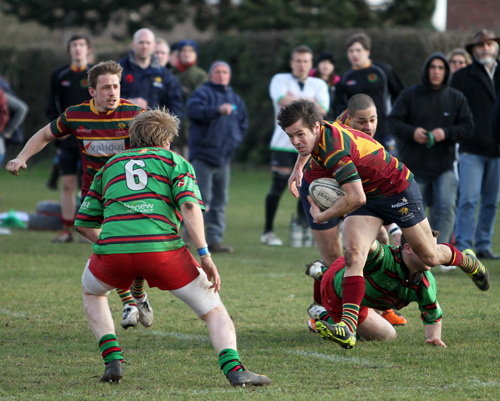 Within minutes of the game starting the Newmarket fly half was forced to leave the pitch with a damaged shoulder, but they still took the lead after weak Norwich tackling let Gueningault score a try in the corner; the conversion was missed. 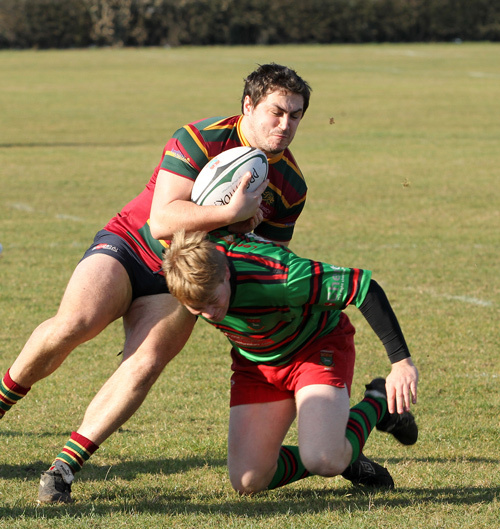 At the end of the first quarter, Norwich passed the ball down the line and winger Gronland scored a try under the posts, after a bullocking run through the remaining tacklers. Pousse converted taking the score to 5–7. Ten minutes later, following a rolling maul, Newmarket’s forwards scored another unconverted try taking the score to 10-7. Norwich then piled on the pressure and were rewarded with a try in the corner by winger Smillie just before the end of the first half. 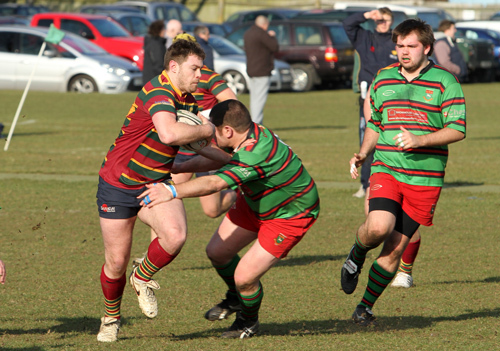 Norwich started the second half with a flowing backs movement, which saw Smillie dance down the touchline before sending the ball infield, where good passing led to Micklethwaite scoring close to the posts, which Pousse converted taking the score to 10-19. 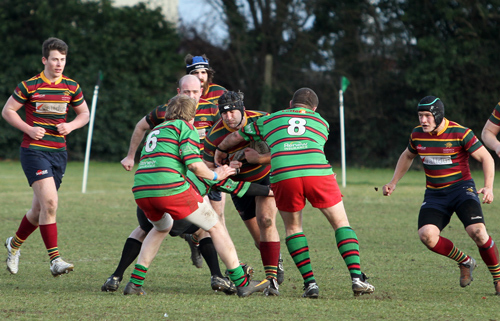 Reeves then kicked a penalty after the referee adjudged Norwich guilty of crossing, and at the end of the third quarter following another unconverted try by Gueningault, the home side took the score to within a point of the visitors 18-19. 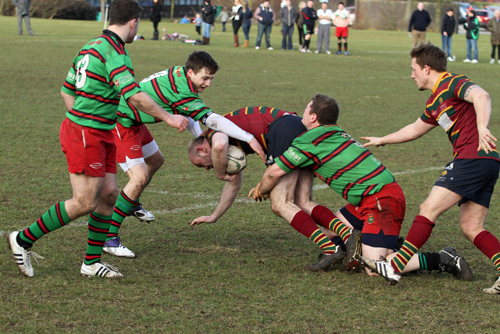 Following another should injury to one of the Newmarket locks, Norwich gained greater control in the scrum and the referee awarded a penalty after Newmarket were driven back which was kicked by Pousse, 18-22. 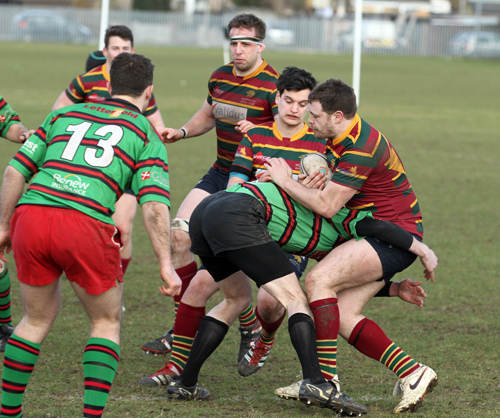 At the end of the third quarter McBride scored a try under the posts, following good back play by Newmarket, which Reeves converted giving the home side a 25-22 lead. Norwich then seemed to incur the wrath of the referee, who awarded numerous penalties against them for the remainder of the match. Although only one of these resulted in a score, when Reeves kicked a penalty two minutes from time, it clearly disrupted the flow of the visitors’ game. 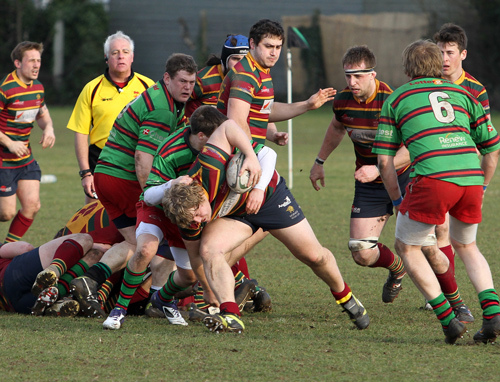 Norwich launched a ferocious assault on the Newmarket try line at the end of the game, but didn’t quite manage to cross it and Newmarket ran out 28-22 winners.